Researchers from the University of Washington (UW) have managed to use laser beams to refrigerate water under everyday conditions. According to a report published by Phys.org this discovery could lead to devices that can 'point cool' microprocessors where they need it most. The discovery initially sounds counterintuitive as water, for example, usually heats up when illuminated. "Typically, when you go to the movies and see Star Wars laser blasters, they heat things up. 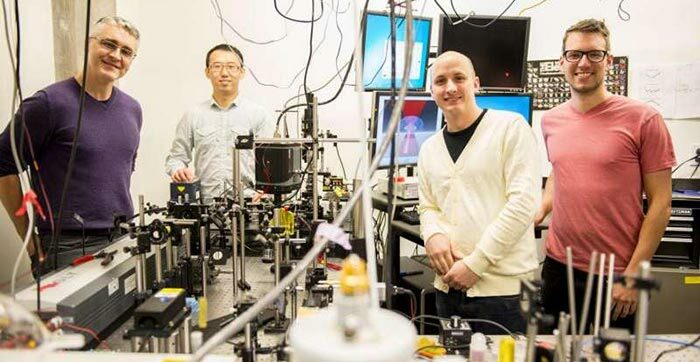 This is the first example of a laser beam that will refrigerate liquids like water under everyday conditions," said Peter Pauzauskie, UW assistant professor of materials science and engineering. Laser refrigeration was first demonstrated back in 1995. Scientists working at Los Alamos National Laboratory managed to cool a substance using a laser in vacuum conditions. To achieve their breakthrough the UW team used a material commonly found in commercial lasers "but essentially ran the laser phenomenon in reverse," explains Phys.org. The demonstration of the technology involved the illumination of a single crystal suspended in water using an IR laser – the laser excited a glow which gave off more energy than was taken in – thus producing the cooling effect. The crystals glow different colours depending upon temperature. With larger crystals greater refrigeration effects could be seen. To help apply the cooling technology in real-world devices the UW team have looked at reducing the cost of growing such laser crystals in a fast, inexpensive and scalable way. Though the researchers say that it would be possible to "point cool" specific areas of microprocessors using this IR laser tech it was their intention to apply the technology to cellular biology. 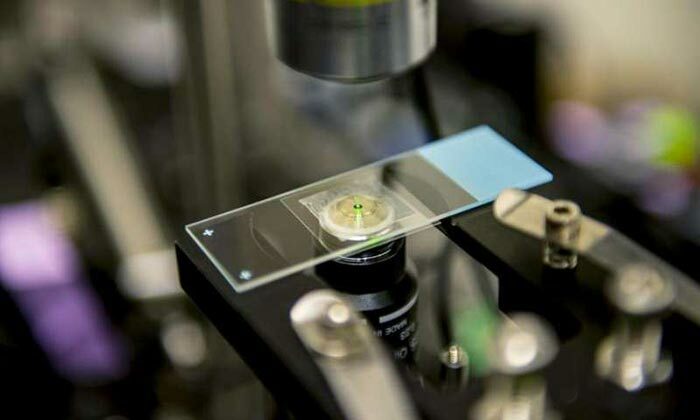 It is thought that this specific pinpoint IR laser cooling could help put life in slow-motion without damaging or changing overall cell behaviour. Thus it could be an essential tool for studying how molecules and enzymes function. In the future the cooling laser technology could be used in areas such as manufacturing, telecommunications and defence applications. As it has only just been seen as possible to use lasers for cooling in the real world, scientists will undoubtedly find more applications for the technology in the not-too-distant future. We could make some pretty neat lighting effects with all that light, even have fibre cables that put off a small luminescence etc. Can't wait for the day we can go and pick up a CoolerMaster 414 Laser Heatsink for the ole pc. Using lasers to cool isn't new… I was watching a demonstration of lasers being used to cool particles (I believe it was potassium) to near absolute zero the other day.